Immerse yourself in living history with this fascinating exploration of the historic heart of the city. Formerly called the ‘Cradle of Paris’, the Île de la Cité was first inhabited by the Parisii tribe more than 2,000 years ago, and your tour aptly begins in front of Notre Dame cathedral, whose first stone was laid back in the 12th Century. 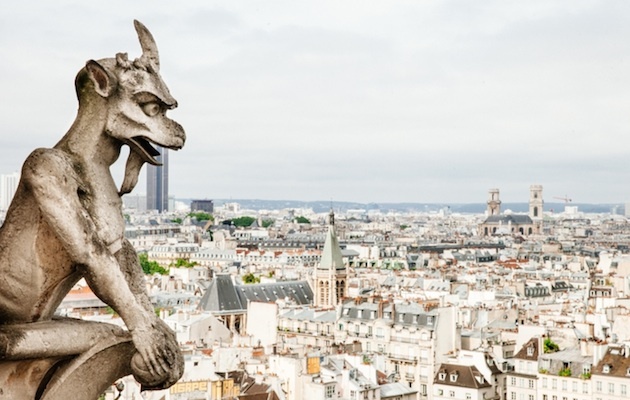 With your certified guide, you will learn the difference between a ‘gargoyle’ and a ‘grotesque’, and decipher the intricate details of the stone façade of this gothic masterpiece. 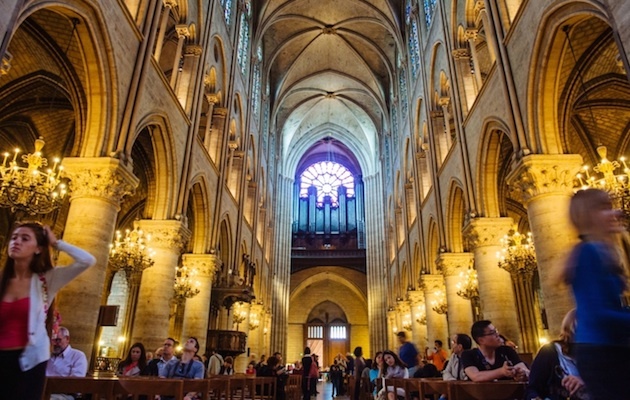 Once inside, you will learn how the cathedral fared during the major events of Parisian history, from the French Revolution through to the Second World War, before moving on to the nearby Conciergerie. This famed royal-palace-turned-prison is most remembered for being the place where Marie-Antoinette and thousands of others were kept during the darkest days of the revolution. You will visit the cramped cells and be able to visualize how the unfortunate queen’s life must have been during those fateful final months of imprisonment. Your tour will end with a dazzling visit of a masterpiece of medieval engineering, Sainte-Chapelle. This royal chapel was the residence of the kings of France until the 14th Century and contains one of the most extensive stained glass collections in the world, illustrating the Old and the New Testaments. This breath-taking sight has been a national historic monument since 1862 and is a highlight of many people’s trips to Paris – a sight not to be missed! Please note: Due to the recent fire at Notre Dame we will not be able to offer exploration of the interior of the cathedral until further notice. The tour includes skip-the-line entry to both the Conciergerie and Sainte-Chapelle, plus an interior visit of Notre Dame Cathedral. Please note that the bell towers and Archaeological Crypt are not included in this tour and that, regrettably, the Conciergerie and Sainte-Chapelle are not wheelchair accessible (please contact us for further details). 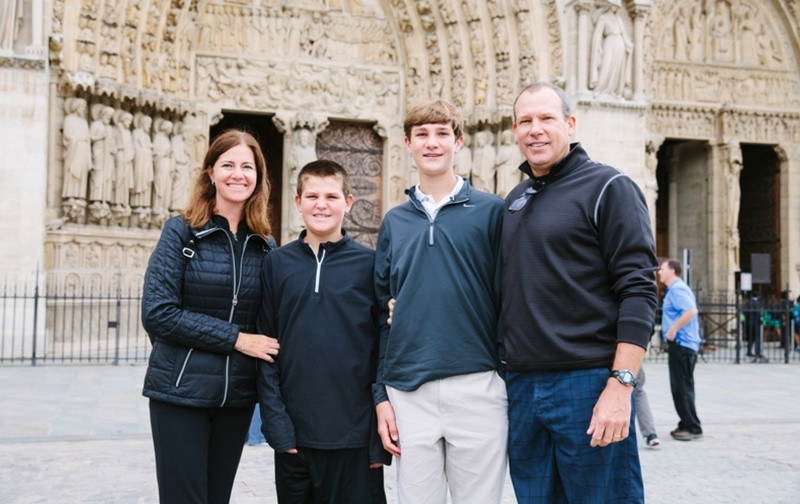 Visitors are asked to remove hats upon entering Notre Dame Cathedral and to cover their shoulders, torso and lower legs. Photography is allowed without flash. Food, beverages, or large bags, including luggage, are not permitted inside. Daily dates, available upon request. Maximum size of group: 8 people. Walking distance: 3.0 km / 1.8 miles.